Seals date back as far as 930 AD, serving as a mark of indisputable authenticity, just like a signature is recognized in the world today. Used by kings of long ago, new laws and proclamations always required the authoritative stamp of a seal. In Medieval Times, just about everyone had their own seal and royalty would own several for all their courts and officials. It was even common practice to destroy a person's seal once the owner died to prevent posthumous forgeries which explains the scarcity of such original emblems. Today, using wax seals is as unnecessary as handwritten correspondence, and yet like so many old traditions, it is such a pleasurable practice, adding a bit of personal distinction and panache to your communication. When Robert and I were married, I used gold wax initial seals encrusted on small ecru gift tags. This touch added character to our wedding favors - wrapped velvet books of poetry. The seals were tricky to create, concentrating on one at a time, for the delicate wax would crack easily. In fact, I remember I had to re-seal each of them with a coating of clear spray insuring they could last at least long enough for our guests to take them home! The wax sticks are available in many different colors so you can coordinate the shade to suit the project. Just like ink, black and red wax are the most classic colors, but I recently picked up an assortment of metallic in silver, gold and copper, as well as pearl white and soft sage from Nostalgic Impressions. My favorite is the copper and I plan on using this for many more cards and correspondence. These are so easy! Just fold and seal your envelope or card, melt the wax and dab a dime size spot where you want it, then just press the metal seal onto the wax. Gently pull away the metal seal, and you have just added an air of dignity, formality, and distinction to your letters. Use them when that weight is suitable and people will appreciate the touch of quality and style it delivers. Here, adding that nostalgic touch, modern wax seals in a classic fleur de lis motif adorn my Take Heart Token ® note cards. How appropriate returning to Downton Abbey this January during National Hot Tea Month. I always end my day with a large tumbler of hot tea, preferably green, after beginning my day with a large mug of coffee. This has been my routine forever, and if I diverge, my head lets me know with a low dull throb. Yes, I suppose that is a symptom of caffeine withdrawal. Alas, we all have our vices, don't we? But sometimes I want these two flavors together, at the same time. How can that be achieved? Many years ago, when my dad shopped at Stop & Shop, he used to pick up their cappuccino muffins, brewing an early love of coffee for Brenna with those delightful confections. Even though I can easily drive to the the local supermarket who still makes them, I wanted to try my own lighter version, a little nutty, and more dainty than the dense giants from their bakery. With a little help from my friends Betty Crocker and Trader Joe, these little buns are light, airy and petite, perfect for that anytime-tea-break, and under 200 calories each. 1) Heat the oven to 400 degrees F. Line a 12 muffin-cup pan with paper baking cups. 2) Mix all ingredients together until well blended. It will be a bit lumpy with the chocolate chips. 3) Divide batter among the 12 wells, filling each about two third in the cups. 4) Bake for 16-20 minutes (check your oven, as they all vary). The center should come out clean with the toothpick test. Remove from your pan and let them cool for about five minutes. ENJOY! It was the headline noting her "peculiar life" that first piqued my interest. 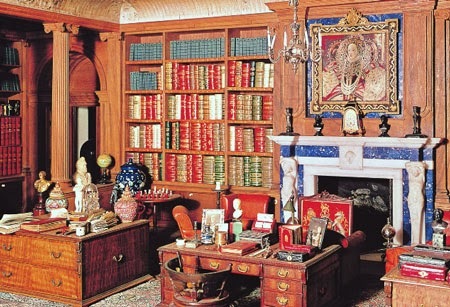 Delving deeper, I discovered her life story possessed the ingredients of a beguiling novel: immense wealth, mystery, art, solitude, and controversy, but with a twist - a lavish collection of dolls and menagerie of miniatures. 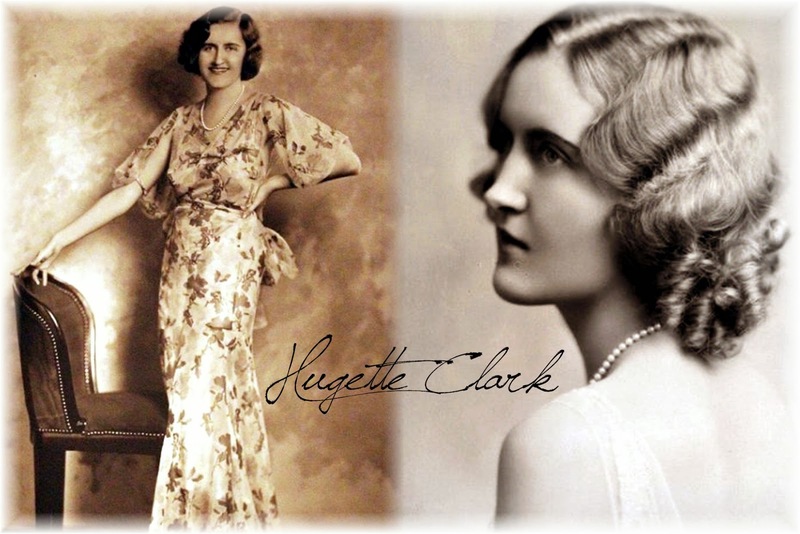 Born the youngest daughter of self-made Gilded Age copper magnate William A. Clark, Hugette lived a "rich life of love and loss, of creativity and quiet charity, of art and imagination". The number one New York Times bestseller Empty Mansions by Bill Dedman and Paul Clark Newell Jr. takes a closer look at her life and legacy through extensive research, personal letters, and interviews with those lucky enough to have had contact, blessed with the generous spirit of Hugette over the years. W.A. Clark made his fortune mining in Montana, developed into a major art collector, and went on to become a U.S. senator, weathering several public scandals throughout life. Perhaps this was the contributing factor to Hugette's shyness, later translating into her defining attribute of privacy. She was fiercely close to her father, mother and older sister, suffering their losses as a young woman. She lived to a gallant 104, developing a passion for the arts as a trained painter, self-taught photographer, expert in Japanese culture, and in the fastidious collection of European antique dolls and reproductions of Japanese Kim, German fairytale houses to-scale, and even Barbie and Ken. Her hobby brought her to the French haute-couture shows in the 1950's since she needed to dress her 1100 dolls in the latest seasonal runway fashions. She would cable her orders to Paris for mini clones to be made since her dolls would have nothing but the best. Particular, yes, but peculiar? She had the funds to support her hobby, so why should anyone question it? "Eccentricity is not a psychiatric disorder." 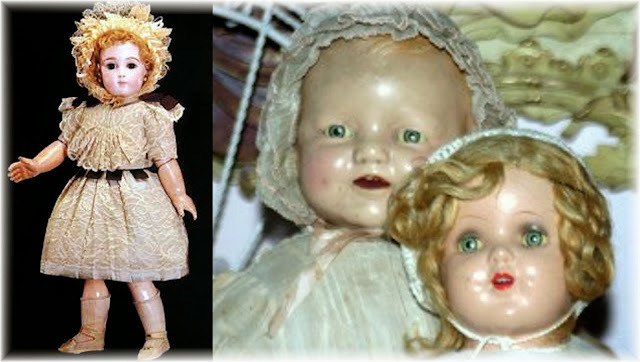 Hugette paid a personal curator $90 an hour to create and catalog rooms for 1157 dolls. She was one of the wealthiest women in America. 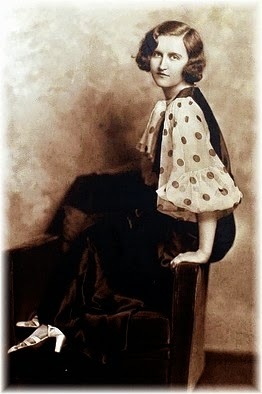 Though she owned a lavish apartment on Fifth Avenue in Manhattan, a luxurious chateau on 52-acres in Connecticut, and a sprawling Pacific-facing estate in California, she chose to live for her last twenty years in Beth Israel Hospital in a 14-by-24-foot standard two-bed room. Despite the severe melanoma that brought her to the hospital initially, she was completely cured and had nothing wrong with her physically. The only pill she took daily was a single vitamin. She had a full time nurse who was generously retained. 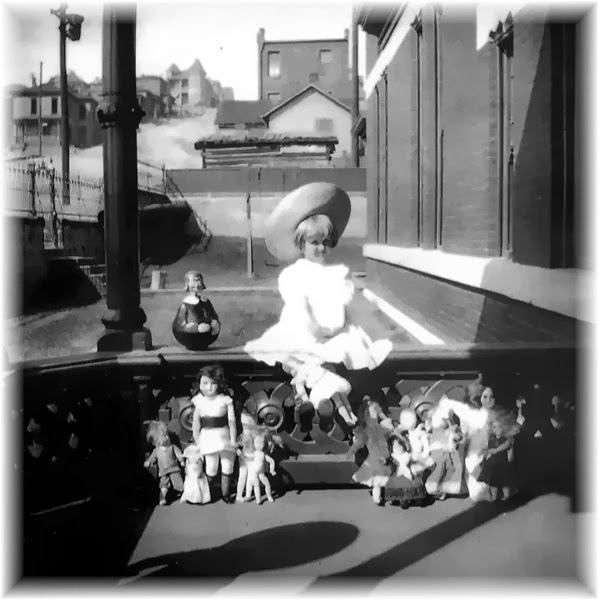 And for those two decades, her three properties were meticulously maintained by a staff in each residence in her absence, preserving the multimillion dollar homes as real life-sized dollhouses. Eccentric, yes, I would agree, but immensely generous and full of self-expression. Throughout her life, she enjoyed giving gifts to the people she knew, not just throwing money away as many of her lawyers and staff believed, for she was healthy and sharp as a tack. The controversy came upon her death, settled in court with the surfacing of two different wills and a battle for the final decision of her actual wishes for the $300 million fortune. How ironic for someone preserving their privacy in life only to be exposed and examined upon their death in 2011. 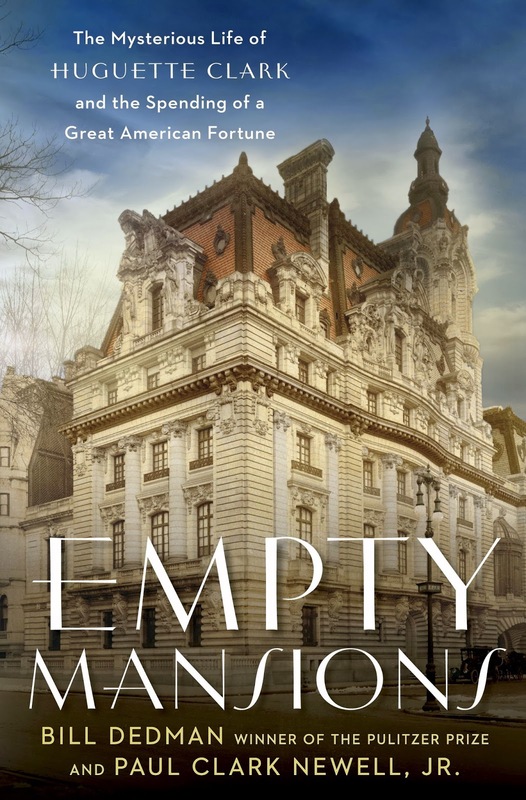 Regardless, Empty Mansions is a completely absorbing book, shedding light on her story filled with adept and impartial detail.